1. What size of weathervane do you recommend for my property? It is very difficult to give a difinitive answer to the question of what size to choose, because there are so many variables, including an individual's personal taste as to what looks right. We have produced the table below as a rough guide, which we hope will be helpful. It is also worth considering the surroundings, for example how far away will you mostly view the weathervane from? If you have a large garden and want a good view of the weathervane from the end of it, it may well be worth going a size bigger. If you need any further advice on this please feel free to contact us on 0161 681 4293, or send a photograph of the location to sales@blackfoxmetalcraft.co.uk . 2. How long does it take to produce a weathervane? Usually between two and four weeks, as all of our weathervanes are made to order. 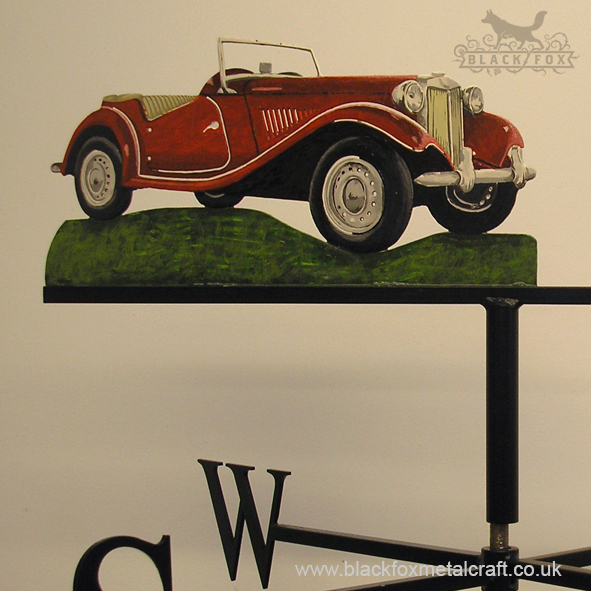 Some of the more popular designs we keep in stock; these can generally be produced in around two weeks, however many will need laser cutting so it's best to allow up to four weeks for us to manufacture and send out a weathervane. If you are on a tight timescale, please contact us before ordering on 0161 681 4293. 3. Which sort of fixing do I need? There are descriptions and photos of our standard fixings on our fixings information page. These are included in the cost of the weathervane. If you are unsure as to which fixing you need, or think you might require a bespoke bracket please phone 0161 681 4293 and we'll be happy to give further advice. 4. 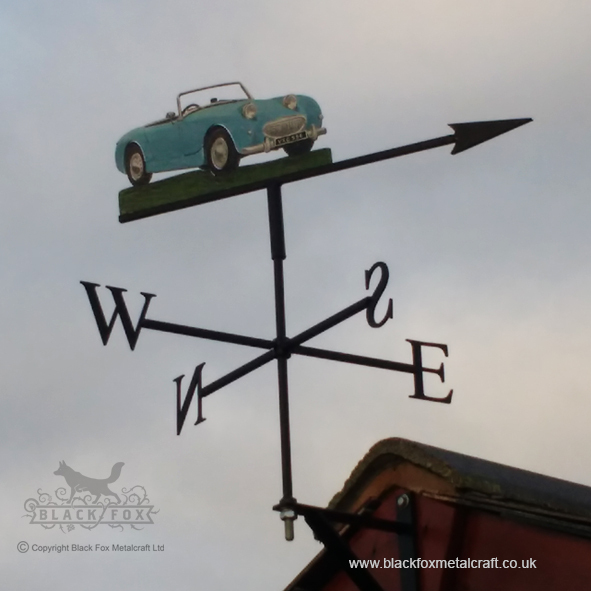 How do I go about comissioning a bespoke weathervane design? There is no additional charge for creating a custom weathervane. 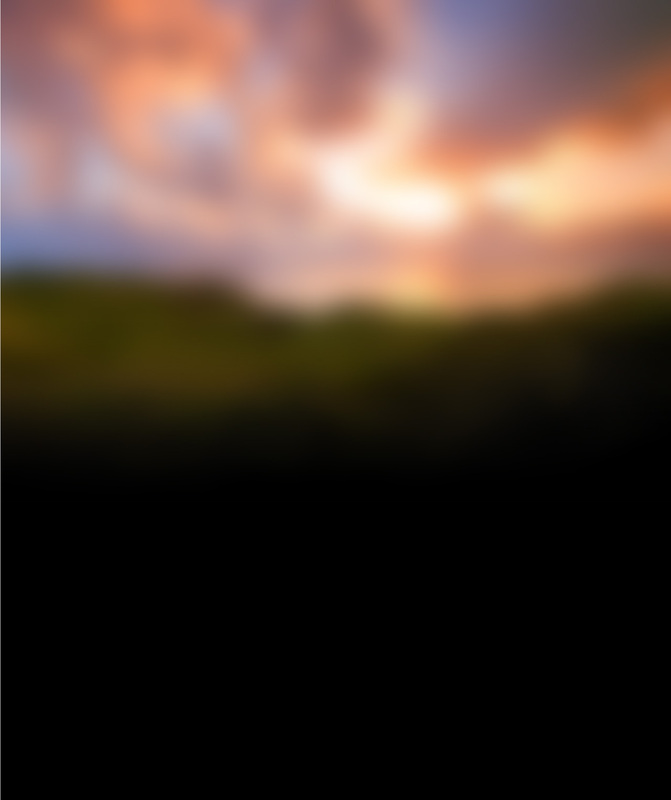 Designs can be created from as little as an idea discussed over the telephone, to a computer drawn image showing exactly what you want. Please send over your ideas, in whatever form they may be, to jenny@blackfoxmetalcraft.co.uk, or ring us on 0161 681 4293. When we know exactly what you are after from the image, we would then come up with an initial design or two, and you then have chance to suggest any alterations before we create the final design. If you are thinking of commissioning a bespoke design, it's well worth reading this blog post on the subject. 5. What finish is applied to your weathervanes? 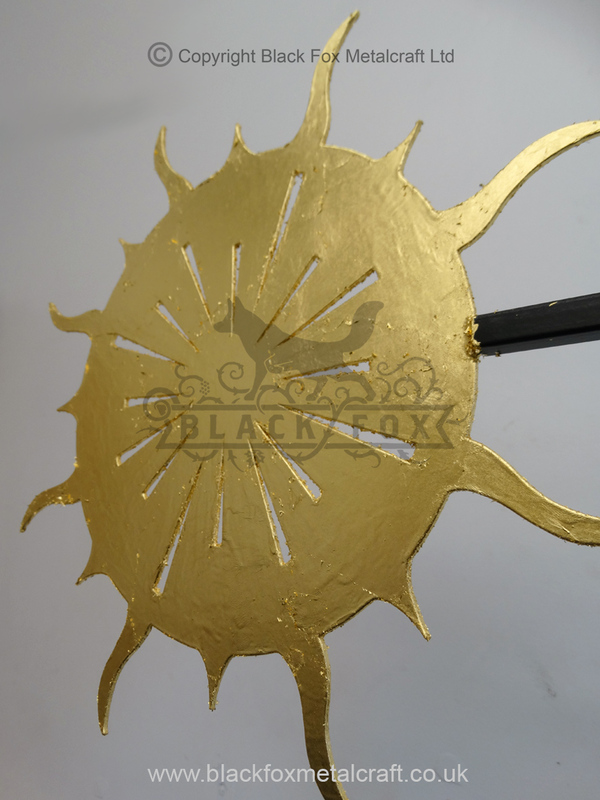 All Black Fox weathervanes are electroplated with zinc to protect against rust. A matt black powder coat is then baked on at 170 degrees. 6. How do weathervanes work? 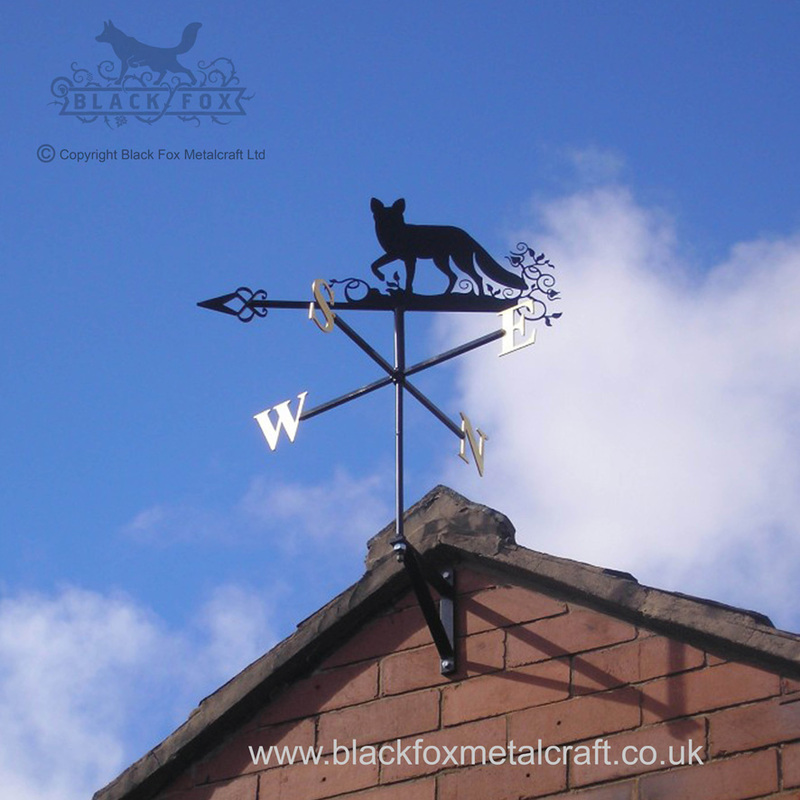 All Black Fox designs are tested and balanced to ensure they will work as a functioning weathervane. This is a case of ensuring that the the weight at the front of the weathervane (the arrow) is equal to the weight at the back of the weathervane (the laser cut design). When this bar is balanced correctly, the wind will catch the laser cut design, and the weathervane will spin so that the arrow points into the wind. This is how you know where the wind is coming from. In order to get the most accurate reading, the weathervane should be mounted to the highest point so that trees and other buildings will not interfere with wind direction. The cardinal points (Letters) can be gilded using 23.5 carat gold leaf. It is weather resistant, and unlike gold paint, will not dull over time. The gilding is done to a professional standard, with a coat of primer and 5 layers of paint underneath forming a high quality base for the oil based size (glue) and gold leaf to adhere to. 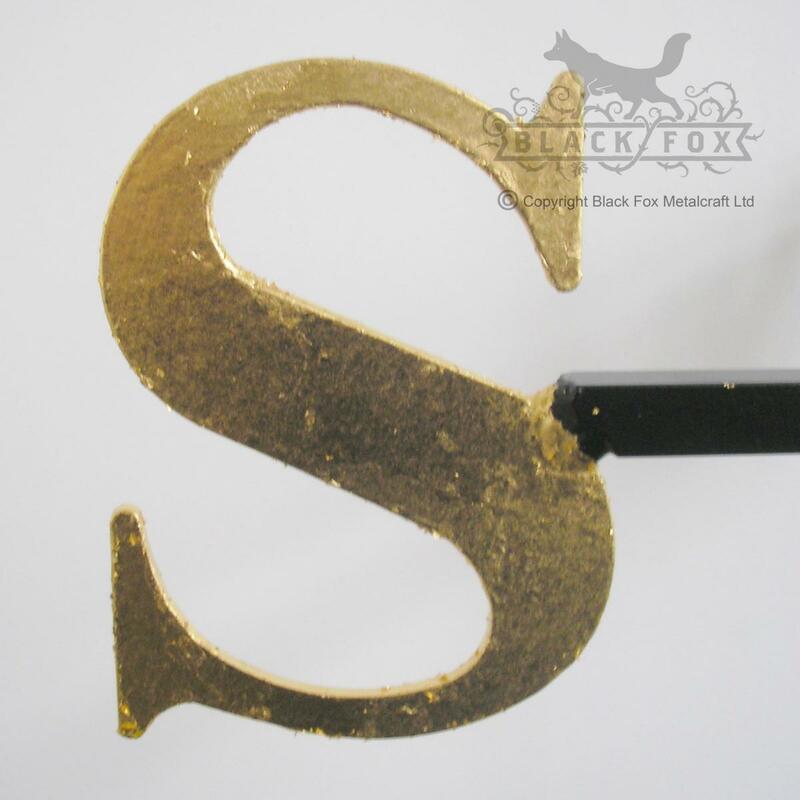 As well as the letters, many of our weathervane sails can also be gilded; prices do vary depending on the size and complexity of the design so please contact us for an individual price. 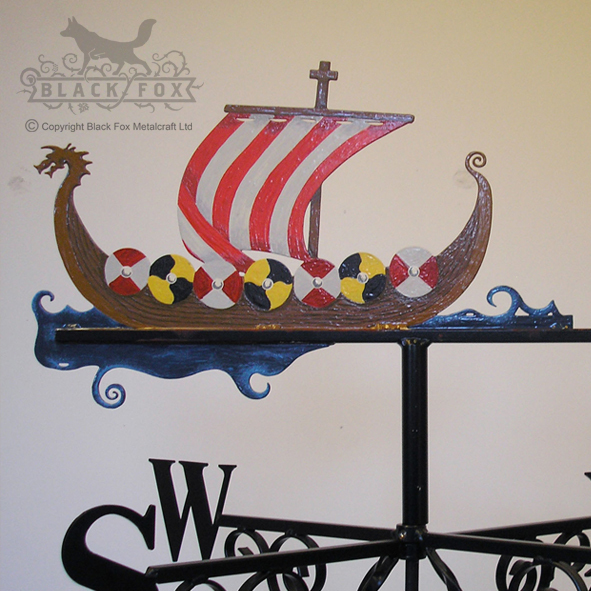 Our weathervane designs can be painted by hand in full colour using high quality outdoor paint. Prices for this service start from £70, and do vary as some designs are more complex than others. We are happy to answer any further technical questions you may have, please phone us on 0161 681 4293 or email us on sales@blackfoxmetalcraft.co.uk. 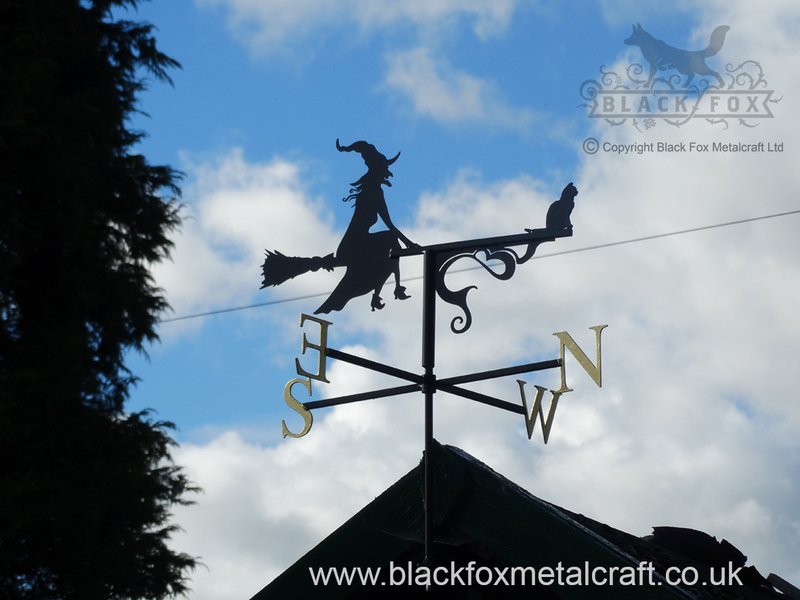 To see some examples of our weathervanes insitu, please take a look at our customer gallery.